Samir Mehta, MD, is an attending physician in the Division of Orthopaedic Surgery at Children's Hospital of Philadelphia (CHOP). Scolaro JA, Voleti P, Makani A, Namdari S, Mirza A, Mehta S.,: Surgical fixation of extra-articular distal humerus fractures with a posterolateral plate through a triceps-reflecting technique. Journal of Shoulder and Elbow 23(2): 251-7, Feb 2014. Hannigan GD, Hodkinson BP, McGinnis K, Tyldsley AS, Anari JB, Horan AD, Grice EA, Mehta S: Culture-independent pilot study of microbiota colonizing open fractures and association with severity, mechanism, location, and complication from presentation to early outpatient follow-up. Journal of Orthopaedic Related Research 32(4): 597-605, April 2014. Okike K, O'Toole RV, Pollak AN, Bishop JA, McAndrew CM, Mehta S, Cross III WW, Garrigues GE, Harris MB, Lebrun CT: Survey Finds Few Orthopedic Surgeons Know The Costs Of The Devices They Implant. Health Affairs 33(1): 103-109, 2014. Schenker ML, Mauck RL, Ahn J, Mehta S: Pathogenesis and Prevention of Posttraumatic Osteoarthritis After Intra-articular Fracture. Journal of American Academy of Orthopaedic Surgeons 22(1): 20-28, 2014. Sullivan MP, Smith HE, Schuster JM, Donegan D, Mehta S, Ahn J: Spondylopelvic dissociation. Orthopaedics Clinical North America 45(1): 65-75, 2014. Anakwenze Oke A, Kancherla Vamsi, Baldwin Keith, Levine William N, Mehta Samir: Orthopaedic Residency Applications Increase After Implementation of 80-hour Workweek. Clinical orthopaedics and related research 471(5): 1720-4, Jan 2013. Namdari Surena, Rabinovich Remy, Scolaro John, Baldwin Keith, Bhandari Mohit, Mehta Samir: Absorbable and non-absorbable cement augmentation in fixation of intertrochanteric femur fractures: systematic review of the literature. Archives of orthopaedic and trauma surgery 133(4): 487-94, Jan 2013. Namdari Surena, Jani Sunil, Baldwin Keith, Mehta Samir: What is the relationship between number of publications during orthopaedic residency and selection of an academic career? The Journal of bone and joint surgery. American volume 95(7): e45, Apr 2013. Horneff John G, Scolaro John A, Jafari S Mehdi, Mirza Amer, Parvizi Javad, Mehta Samir: Intramedullary nailing versus locked plate for treating supracondylar periprosthetic femur fractures. Orthopedics 36(5): e561-6, May 2013. Shah Roshan P, Froelich John M, Weinstein Stuart L, Mehta Samir: Factors Influencing Resident Participation in the AAOS Political Action Committee. Orthopedics 36(6): 826-30, Jun 2013. 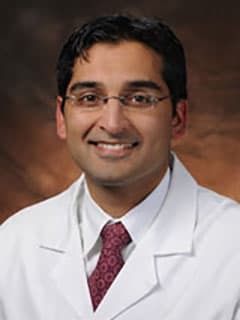 Neuman MD, Donegan DJ, Mehta S: Comparative effectiveness of joint reconstruction and fixation for femoral neck fracture: inpatient and 30-day mortality. American Journal of Orthopaedics 42(7): E42-7, July 2013. Zielinski SM, Keijsers NL, Praet SF, Heetveld MJ, Bhandari M, Wilssens JP, Patka P, Van Lieshout EM: FAITH Trial Investigators. Femoral neck shortening after internal fixation of a femoral neck fracture. Orthopaedics 36(7): e849-58, Jul 2013. Scolaro JA, Endress C, Mehta S: Prevention of cortical breach during placement of an antegrade intramedullary femoral nail. Orthopaedics 36(9): 688-92, Sep 2013. Clement RC, Carr BG, Kallan MJ, Reilly PM, Mehta S: Who needs an orthopedic trauma surgeon? An analysis of US national injury patterns. Journal of Trauma Acute Care Surg 75(4): 687-92, Oct 2013. Baldwin K, Namdari S, Donegan D, Kavatch K, Ahn J, Mehta S: 100 Most Cited Articles in Fracture Surgery. American Journal of Orthopaedics 42(12): 547-552, 2013. Clement RC, Ahn J, Mehta S, Bernstein J: Economic Viability of Geriatric Hip Fracture Centers. Orthopaedics 36(12): 1-6, 2013. Dombroski Derek, Scolaro John A, Pulos Nicholas, Beingessner Daphne M, Dunbar Robert, Mehta Samir: Fibula fracture stabilization with a guide wire as supplementary fixation in tibia fractures. American journal of orthopedics (Belle Mead, N.J.) 41(5): 209-12, May 2012. Gardner Michael J, Mehta Samir, Mirza Amer, Ricci William M: Anterior pelvic reduction and fixation using a subcutaneous internal fixator. Journal of orthopaedic trauma 26(5): 314-21, May 2012. Namdari Surena, Alosh Hassan, Baldwin Keith, Mehta Samir, Keenan Mary Ann: Outcomes of tendon fractional lengthenings to improve shoulder function in patients with spastic hemiparesis. Journal of shoulder and elbow surgery / American Shoulder and Elbow Surgeons ... [et al.] 21(5): 691-8, May 2012. Schenker Mara L, Yannascoli Sarah, Baldwin Keith D, Ahn Jaimo, Mehta Samir: Does timing to operative debridement affect infectious complications in open long-bone fractures? A systematic review. The Journal of bone and joint surgery. American volume 94(12): 1057-64, Jun 2012. Namdari Surena, Yagnik Gautam, Ebaugh D David, Nagda Sameer, Ramsey Matthew L, Williams Gerald R, Mehta Samir: Defining functional shoulder range of motion for activities of daily living. Journal of shoulder and elbow surgery / American Shoulder and Elbow Surgeons ... [et al.] 21(9): 1177-83, Sep 2012. Dombroski Derek, Scolaro John A, Pulos Nicholas, Beingessner Daphne M, Dunbar Robert, Mehta Samir: Fibular fracture stabilization with a guidewire as supplementary fixation in tibia fractures. American journal of orthopedics (Belle Mead, N.J.) 41(11): 506-9, Nov 2012. Hebert-Davies Jonah, Laflamme G-Yves, Rouleau Dominique, HEALTH and FAITH Investigators: Bias towards dementia: are hip fracture trials excluding too many patients? A systematic review. Injury 43(12): 1978-84, Dec 2012. Liporace Frank A, Mehta Samir, Rhorer Anthony S, Yoon Richard S, Reilly Mark C: Staged treatment and associated complications of pilon fractures. Instructional course lectures 61: 53-70, 2012. Namdari Surena, Lipman Adam J, Ricchetti Eric T, Tjoumakaris Fotios P, Huffman G Russell, Mehta Samir: Fixation strategies to prevent screw cut-out and malreduction in proximal humeral fracture fixation. Clinics in orthopedic surgery 4(4): 321-4, Dec 2012. Namdari Surena, Voleti Pramod B, Mehta Samir: Evaluation of the osteoporotic proximal humeral fracture and strategies for structural augmentation during surgical treatment. Journal of shoulder and elbow surgery / American Shoulder and Elbow Surgeons ... [et al.] 21(12): 1787-95, Dec 2012. Nauth Aaron, Giles Erica, Potter Benjamin K, Nesti Leon J, O'brien Frederick P, Bosse Michael J, Anglen Jeffrey O, Mehta Samir, Ahn Jaimo, Miclau Theodore, Schemitsch Emil H: Heterotopic ossification in orthopaedic trauma. Journal of orthopaedic trauma 26(12): 684-8, Dec 2012. Zielinski Stephanie M, Viveiros Helena, Heetveld Martin J, Swiontkowski Marc F, Bhandari Mohit, Patka Peter, Van Lieshout Esther M M, FAITH trial Investigators: Central coordination as an alternative for local coordination in a multicenter randomized controlled trial: the FAITH trial experience. Trials 13: 5, 2012. Sullivan MP, Baldwin KD, Donegan DJ, Mehta S, Ahn J: Geriatric Fractures About the Hip: Divergent Patterns in the Proximal Femur and Acetabulum. Orthopaedic Trauma Association Annual Meeting, Phoenix, AZ 2013 Notes: Podium Presentation. Tintle SM, White D, Levin LS, Mehta S, Kovach S: Infected Segmental Tibia Defects Salvaged with Free Vascularized Fibular Grafts and Ring External Fixators. World Society of Reconstructive Microsurgery. Chicago, IL 2013 Notes: Poster Presentation. Bhat SB, Bach BR, Verma NN, Mehta S, Mather RG: Financial Analysis of Career Choice and Investment in Orthopaedic Training. American Academy of Orthopaedic Surgeons Annual Meeting. San Francisco, CA 2012 Notes: Poster Presentation. Horan A, Baldwin D, Kaminski C, Esterhai JL, Mehta S: Biomarker identification in Fracture Healing. AO North America Challenges in Fracture Care Across Disciplines. Orlando 2012 2012 Notes: Poster Presentation. Neuman M, Donegan DJ, Mehta S: Comparative Effectiveness of Joint Reconstruction for Femoral Neck Fractures: Inpatient & 30 Day Mortality. American Academy of Orthopaedic Surgeons Annual Meeting. San Francisco, CA 2012 Notes: Poster Presentation. Schenker M, Baldwin K, Rankin S, Hankenson K, Esterhai JL, Ahn J, Mehta S: Development of a Contaminated Musculoskeletal Wound Model Using a Bioluminescent Staphylococcus aureus Strain. Orthopaedic Research Society Annual Meeting, San Francisco, CA 2012 Notes: Podium Presentation. Schenker M, Yannascoli S, Baldwin K, Ahn J, Mehta S: Can it Wait Until Morning? A Meta-Analysis of the Six-Hour Rule of Open Fracture Management. AO North America Challenges in Fracture Care Across Disciplines. Orlando, FL 2012 Notes: Poster Presentation. Schenker M, Yannascoli S, Baldwin K, Ahn J, Mehta S: Can it Wait Until Morning? A Meta-Analysis of the Six-Hour Rule of Open Fracture Management. Orthopaedic Trauma Association. Minneapolis, MN 2012 Notes: Poster Presentation. Schenker M, Yannascoli S, Baldwin K, Ahn J, Mehta S: Can it Wait Until Morning? A Meta-Analysis of the Six-Hour Rule of Open Fracture Management. American Orthopaedic Association Annual Meeting. Washington, DC 2012 Notes: Podium Presentation. Schenker M, Yannascoli S, Baldwin K, Ahn J, Mehta S.: Can it Wait Until Morning? A Meta-Analysis of the Six-Hour Rule of Open Fracture Management. American Academy of Orthopaedic Surgeons Annual Meeting. San Francisco, CA 2012 Notes: Podium Presentation. Shah R, Ahn J, Horan A, Leonard M, Mehta S: Challenges of Patient Directed Adjuvant Fracture Care Research in an Urban, University-based Population. AO North America Challenges in Fracture Care Across Disciplines. Orlando, FL 2012 Notes: Podium Presentation. S Mehta, C Collinge: Orthobiologics: Improving Fracture Care through Science. Lippincott Williams & Wilkins, 2007. KR Chin, S Mehta: Orthopaedic Key Review Concepts. Lippincott Williams & Wilkins, 2007. S Mehta, WN Sankar, CT Born: External Fixation of the Pelvis and Extremities. Lippincott Williams & Wilkins, 2005. S Mehta, AJ Mirarchi, EA Milder, EA Milder: Step-Up to the Bedside: A Cases Based Review for the USMLE Step 1. Lippincott Williams & Wilkins, 2001. S Mehta, AJ Mirarchi, E Milder: Step-Up: A High-Yield Systems Based Review for the USMLE Step 1. Lippincott Williams & Wilkins, 2000. Mehta S: Critical Care for the Orthopaedic Patient (Chapter 96). The Intensive Care Manual, 2nd Edition. Lanken PN, Kohl BA, Manaker SM, Hanson CW (eds.). Elsevier, 2013. Neuman MD., Mehta S: Management of the Hip Fracture Patient(Chapter 22). Manual of Geriatric Anesthesia. Barnett, SR (eds.). Springer, 2013. Shah R., Mehta S.,: The American Health Care System: Understanding How the Pieces Come Together (Chapter 12) An Introduction to Health Policy. Sethi MK and Frist WH (eds.). Springer, 2013. Mehta Samir, Smith Jeffrey M: Resources for your career in orthopaedic traumatology: what can the OTA do for you? Journal of orthopaedic trauma 26 Suppl 1: S25-6, Sep 2012. Jarvis-Selinger S, Armstrong A, Mehta S, Cambion E, Black K: Orthopaedic Educators' Electronic Community of Practice: Development of a Supportive Online Learning Environment for Academic Orthopaedic Surgeons. Technology Enabled Knowledge Translation for eHealth. Ho K, Jarvis-Selinger S, Lauscher HN, Cordeiro J, Scott R (eds.). Springer, 2012. Liporace FA, Mehta S, Rhorer AS, Yoon RS, Reilly MC: Surgical Treatment and Associated Complications of Pilon Fractures (Chapter 5) Instructional Course Lectures Volume 61, American Academy of Orthopaedic Surgeons. Tornetta P and Pagano MW (eds.). Rosemont, 2012. Scolaro JA, Mehta S: Tibial Shaft Fracture: Infection, Nonunion, Malunion (Chapter 29). Prevention and Management of Common Fracture Complications. Archdeacon MT, Anglen JO, Ostrum RF, and Herscovici D (eds.). Slack Incorporated, 2012. Matuszewski Paul E, Mehta Samir: Fracture consolidation in a tibial nonunion after revascularization: a case report. Journal of orthopaedic trauma 25(2): e15-20, Feb 2011. Sheth NP, Mehta S: Orthopaedic Surgery (Chapter 30). The Surgical Review. Porret PM, Frederick JR, Roses RE, and Kaiser LR (eds.). Lippincott Williams & Wilkins, 2010. Amin NH, Ahn J, Mehta S: External and Internal Fixation of Symphysis Pubis Widening. Gowned & Gloved Orthopaedics: Introduction to Common Procedures. Sheth NP and Lonner JH (eds.). Elsevier, 2008. Baldwin KD, Ahn J, Mehta S: Open Reduction and Internal Fixation of Posterior Wall Fractures. Gowned & Gloved Orthopaedics: Introduction to Common Procedures. Sheth NP and Lonner JH (eds.). Elsevier, 2008. Auerbach JD., McCormick FL., Mehta S., Brummett RS., Rushton SA. : Posterior cervical arthrodesis for subacute odontoid fracture in a patient with osteopetrosis: case report. Spine 32(1): E34-8, Jan 1 2007. Ricchetti ET., Mehta S., Sennett BJ., Huffman GR. : Comparison of lateral release versus lateral release with medial soft-tissue realignment for the treatment of recurrent patellar instability: a systematic review. [Review] [31 refs] Arthroscopy 23(5): 463-8, May 2007. Mehta S., Myers TG., Lonner JH., Huffman GR., Sennett BJ. : The ethics of sham surgery in clinical orthopaedic research. [Review] [26 refs] Journal of Bone & Joint Surgery - American Volume 89(7): 1650-3, Jul 2007. Ahn J, Mehta S, Chin KR: Fractures of the Sacrum and Coccyx. Pediatric and Adult Spine Trauma. Kim DH, Ludwig SC, Vaccaro AR (eds.). Elsevier, 2007. Mehta S, Auerbach JD, Chin KR: Piriformis Syndrome. Interventional spine: an algorithmic approach. Slipman CW, Derby R, Simeone FA, Mayer TG (eds.). Elsevier, 2007. Mehta S., Auerbach JD., Born CT., Chin KR. : Sacral fractures. [Review] [49 refs] Journal of the American Academy of Orthopaedic Surgeons 14(12): 656-65, Nov 2006. Keenan MAE, Mehta S: Rehabilitation. Current Diagnosis and Treatment in Orthopaedics. Skinner HB (eds.). McGraw-Hill, Page: 671-727, 2006. Vresilovic EJ., Mehta S., Placide R., Milam RA 4th. : Traumatic spondylopelvic dissociation. A report of two cases. Journal of Bone & Joint Surgery - American Volume 87(5): 1098-103, May 2005. Deirmengian C, Mehta S, Lonner JH: Infection in Total Knee Arthroplasty. Revision Total Knee Arthroplasty. Bono JV, Scott R (eds.). Springer-Verlag, Page: 167-182, 2005. Mehta S: The 80-Hour Resident Work Week: Challenges, Responses, and Perceptions of Impact after 1 Year. SE078 AAOS 2005. Garg S., Mehta S., Dormans JP. : Langerhans cell histiocytosis of the spine in children. Long-term follow-up. [Review] [38 refs] Journal of Bone & Joint Surgery - American Volume 86-A(8): 1740-50, Aug 2004. Mehta S., Nelson CL., Konkle BA., Vannozzi B.: Total knee arthroplasty using recombinant factor VII in hemophilia-A patients with inhibitors. A report of three cases. Journal of Bone & Joint Surgery - American Volume 86-A(11): 2519-21, Nov 2004. Auerbach JD, Mehta S, Chin KR: Antibiotic Prophylaxis and Routine Management Guidelines to Minimize the Occurrence of Postoperative Spinal Infections. Seminars in Spine Surgery. Vaccarro A (eds.). Elsevier, Page: 198-205, 2004. Jawa A., Mehta S., Grupp S., Kramer SS., Carpentieri DF., Dormans JP. : Face and thigh swelling in a 6-year-old girl. Clinical Orthopaedics & Related Research (415)(415): 309-18, Oct 2003. Mehta S., Gimbel JA., Soslowsky LJ. : Etiologic and pathogenetic factors for rotator cuff tendinopathy. [Review] [68 refs] Clinics in Sports Medicine 22(4): 791-812, Oct 2003. Garg S., Mehta S., Dormans JP. : An atypical presentation of Langerhans cell histiocytosis of the cervical spine in a child. Spine 28(21): E445-8, Nov 1 2003. Mehta S: Analgesia in Sports Medicine: A special report. The Physician and Sportsmedicine. Bernstein J (eds.). McGraw-Hill, 2003. Mehta S: Musculoskeleton Medicine. Bernstein J (eds.). American Academy of Orthopaedic Surgeons, 2003. Mehta S: The USMLE field trial: Computer based testing begins on an unfair basis. Journal of the American Medical Association 6: 18-21, 1999. "What the Orthopaedic Surgeon Needs from the Plastic Surgeon" - American Society of Reconstructive Microsurgery Annual Meeting, Poipu, HI, Jan 2014. "Alternative Exposures for Intramedullary Nailing of the Tibia" - 2013 Annual Trauma Update, Xiamen, China, Sept 2013. "Proximal Tibial Metaphyseal Fractures: Nail or Plate" - 2013 Trauma Update, New York, NY, Dec 2013. "Humeral Shaft Fractures: Operative Indications & Techniques" - 2013 Trauma Update, New York, NY, Dec 2013. "Acetabular Fractures: Indications & Techniques" - 2013 Trauma Update, New York, NY, Dec 2013. "Osteoporotic Ankle Fracture Options" - The Not So Simple Ankle Fracture: Avoiding Problems and Pitfalls to Improve Patient Outcome, ICL, American Academy of Orthopaedic Surgeons, San Francisco, CA, Feb 2012. "Supination-Adduction Ankle Fractures" - The Not So Simple Ankle Fracture: Avoiding Problems and Pitfalls to Improve Patient Outcome, ICL, American Academy of Orthopaedic Surgeons, San Francisco, CA, Feb 2012. "Select Surgical Exposures for the Pilon: What Works for Me" - Current Plating Techniques of Fractures of the Tibial Plafond and Treatment of the Late and Failed Pilon, ICL, American Academy of Orthopaedic Surgeons, San Francisco, CA, Feb 2012. "Pelvic and Acetabular Fractures in the Pediatric & Adolescent Patient" - John M Templeton Jr Pediatric Trauma Symposium, Philadelphia, PA, Mar 2012. "How to Create a Local Research Program" - OREF Mid-Atlantic Research Symposium, Philadelphia, PA, June 2012. "Open Tibia Fractures: Do we need to washout ASAP" - Eastern Orthopaedic Association Annual Meeting, Lake George, NY, June 2012. "Proximal Femur Fxs - IM Nail Stabilization" - 10th Annual Trauma 101 Fracture Care, Cincinnati, OH, June 2012. "Proximal Humerus Periprosthetic Fractures" - 10th Annual Trauma 101 Fracture Care, Cincinnati, OH, June 2012. "Infection in TKA: Treatment Outcomes" - The Knee: When Things Go Wrong, International Congress of the World Hemophilia Foundation, Paris, France, July 2012. "Use of SIMulation in Orthopaedic Education" - 35th Annual Howard Rosen Tri-State Orthopaedic Trauma Symposium, Hospital for Joint Diseases, New York University School of Medicine, New York, NY, October 2012.